Super Strains crossed Enemy of the State with several other Indicas and Sativas that can’t be named due to high confidentiality. The result was DFA Autoflowering, a strong but compact plant that lives up to high expectations. This autoflowering strain displays a lot of growing characteristics of the feminized Enemy of the State, but will finish much earlier. 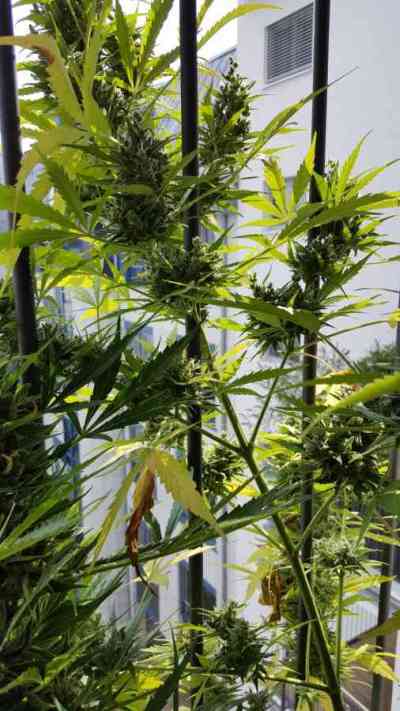 Enemy of the State is already an excellent strain for outdoor cultivation, but the autoflowering version makes things even simpler. DFA Autoflowering is ready for harvest in just 8 weeks from planting the seeds, and will not exceed 60-80cm in height. These compact dimensions are ideal to successfully hide this public enemy from prying eyes. 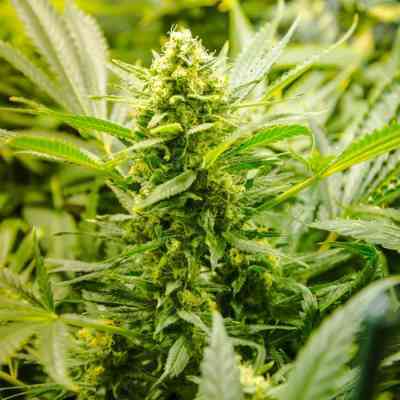 What makes this strain great is the fact that the structure of the plant is rather open, allowing light to penetrate multiple parts of plant, including lower branches. This leads to bigger harvests and happy growers. DFA Autoflowering is small but mighty. It provides a heavy-hitting Indica effect, definitely very respectable in terms of potency. The aromas can be described as a blend of sweetness, paired with a pronounced flavour of Skunk. Hiding an Enemy of the State is not always the best idea. With DFA Autoflowering, it can be, for she is a plant that does not grow up to extreme heights, but stays small. The “stealth-factor” of a compact strain can’t be beaten and is potentially something of high value. One of my first autos. highly recommended!